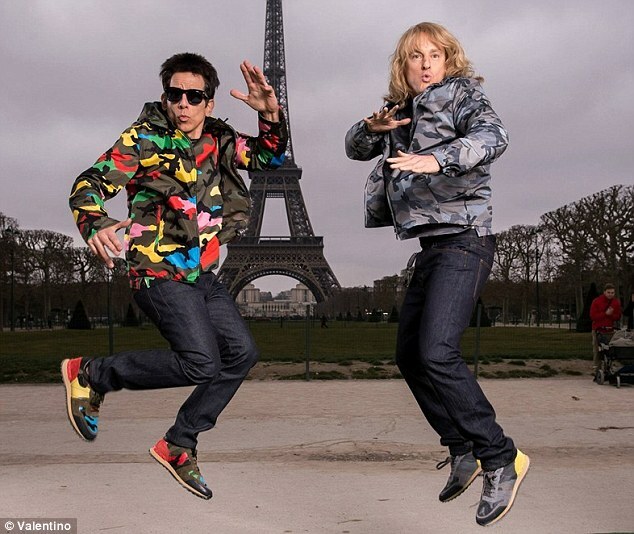 When Valentino suited up Ben Stiller’s Derek Zoolander and Owen Wilson’s Hansel in custom fatigues for Paris Fashion Month earlier this year, the Italian fashion house undoubtedly heralded the comeback of the camo. 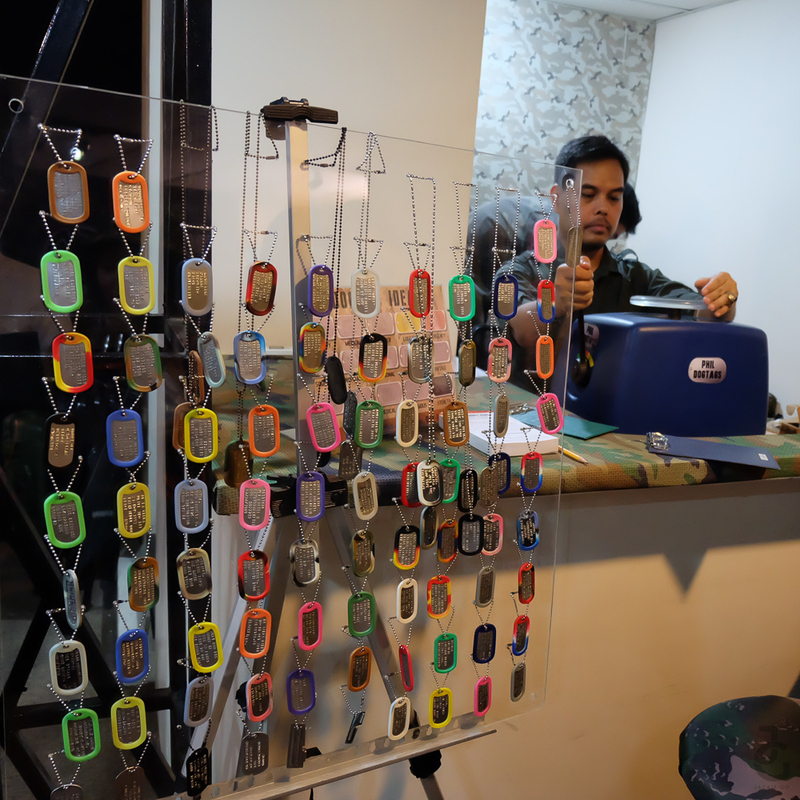 I personally believe that camo is one of the few prints that has become iconic over time. It’s classic. 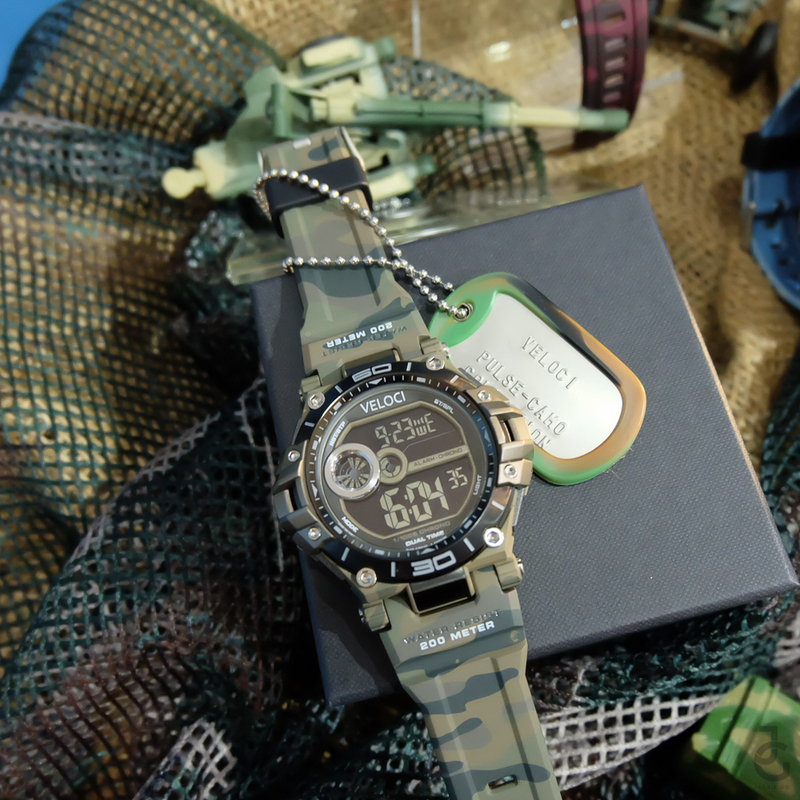 Since camo has become big this year, Italian-inspired watch brand Veloci embraces the trend with the launch of its holiday timepieces. 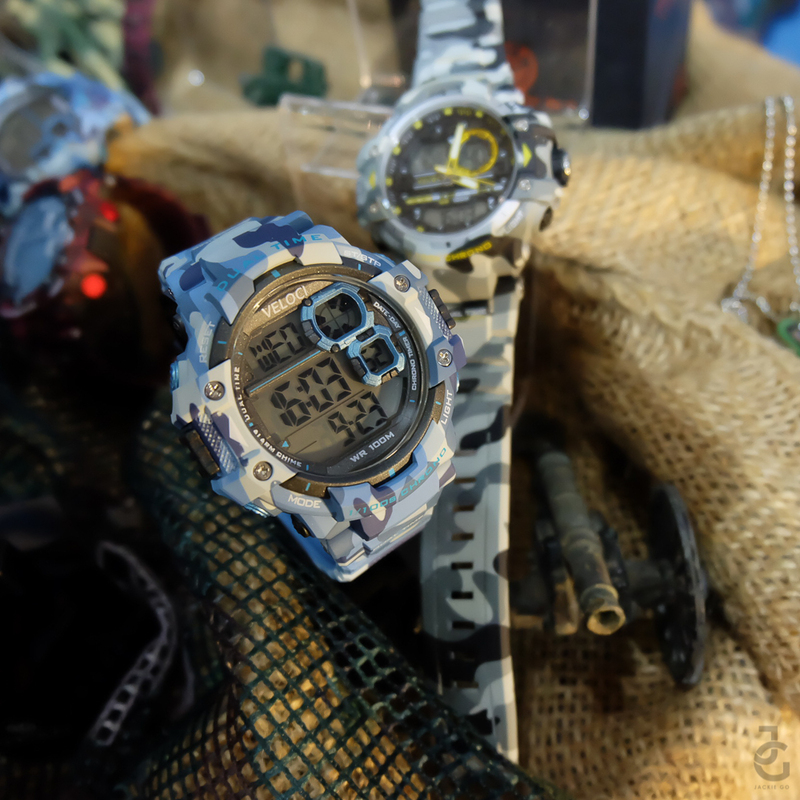 For the more adventurous ones, the Camo Active bears the features of the Pulse with a different look. 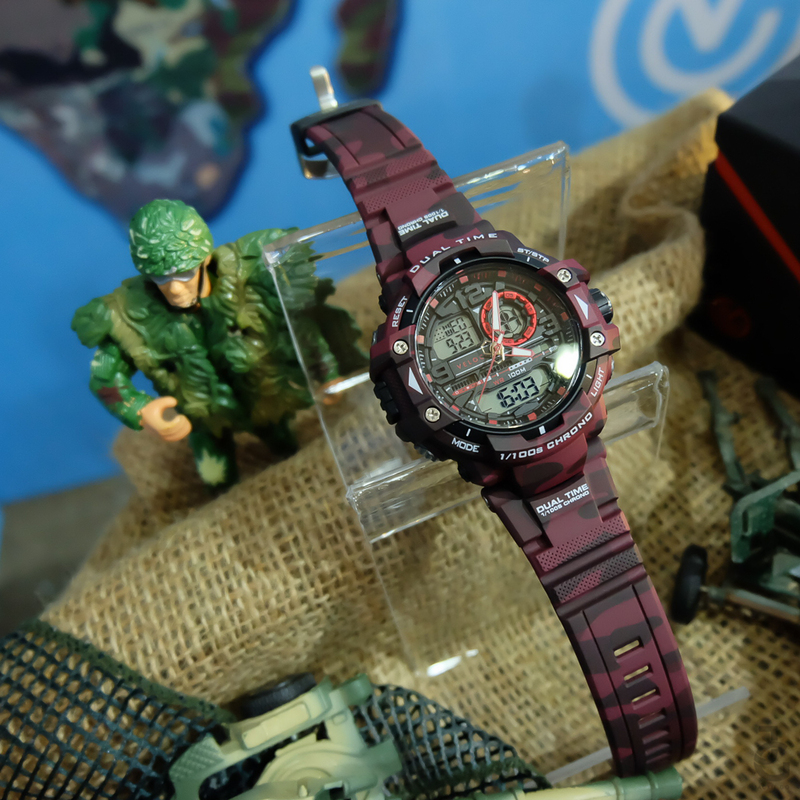 This watch has a stainless steel top ring, inner ring, and 200-meter water resist. A mineral glass cover renders it anti-shock. 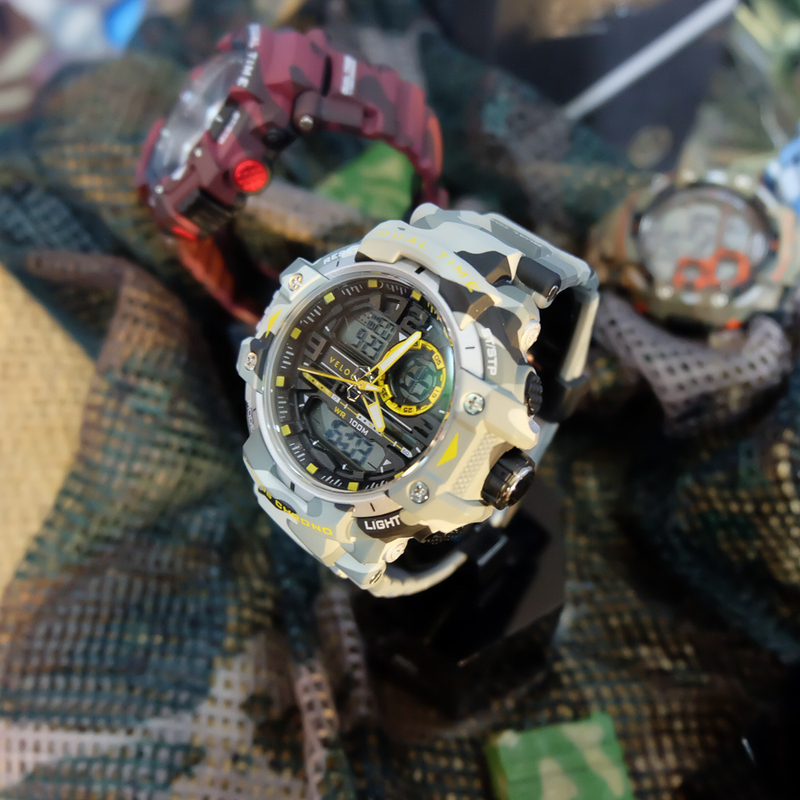 Perfect for extreme sports enthusiasts with a penchant for minimal accessorizing and maximum impact. 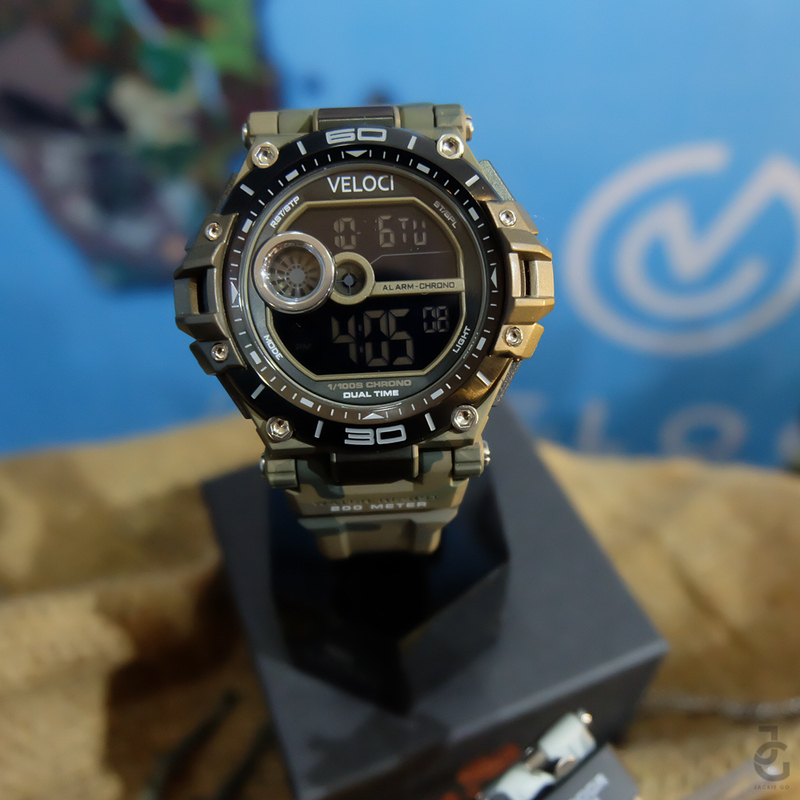 Veloci Camo Pulse is at P2,350. The camo print can easily spruce up any outfit. 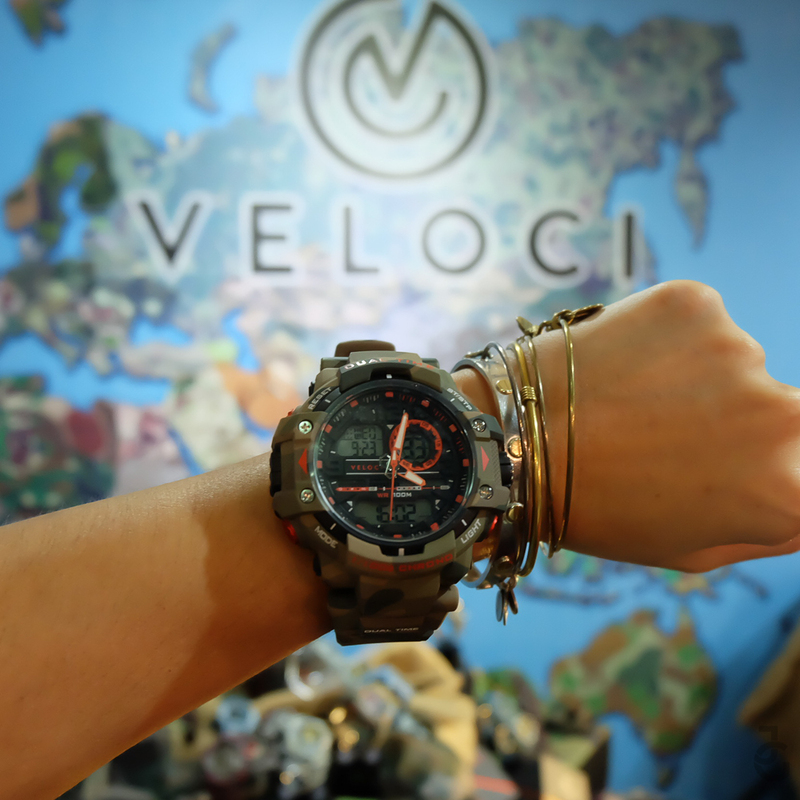 Veloci Camo combination not only comes in the classic army green but also in rogue red, cadet gray and infantry blue. 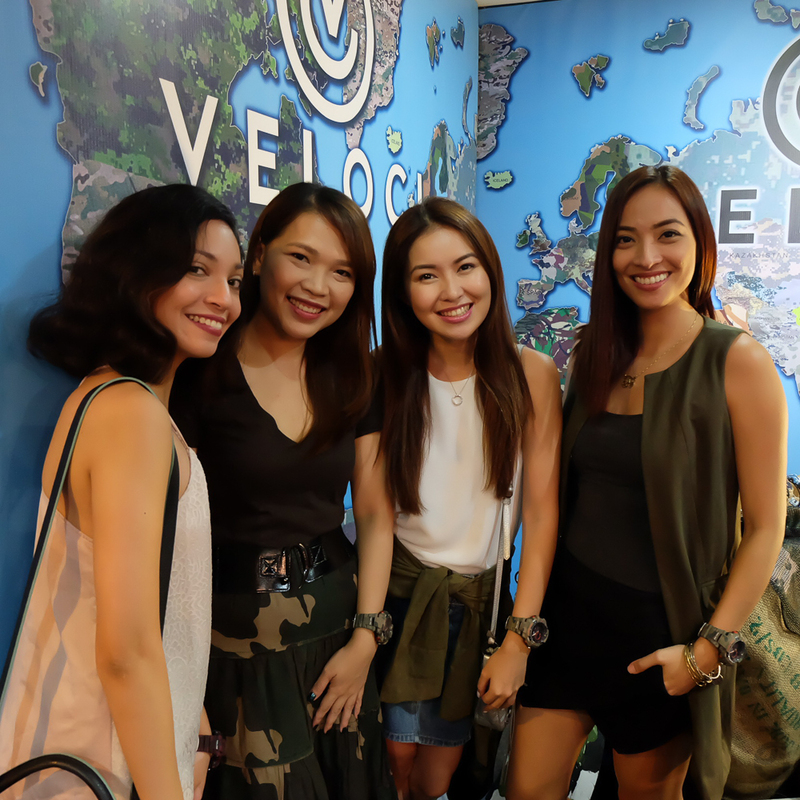 Camo girls, Alyssa Lapid, Nikki Tiu, Angela Nepomuceno and yours truly. 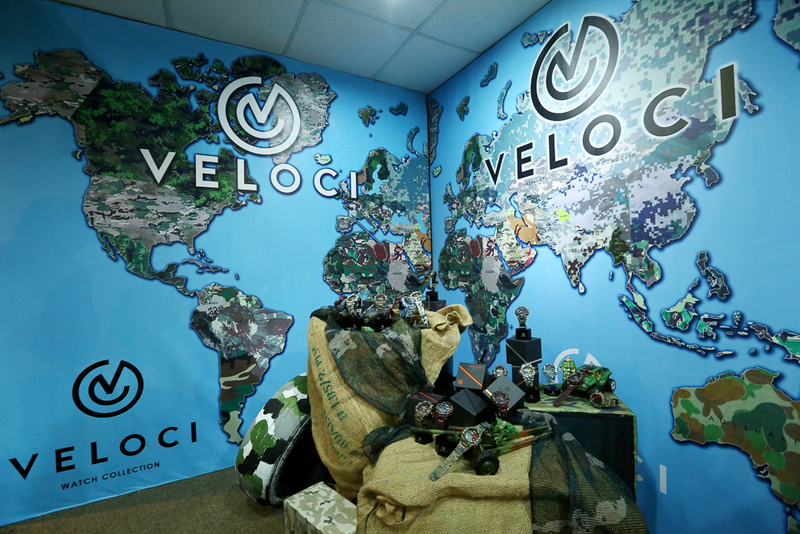 The launch of Veloci Camo gave us a peek of what its like in the army. 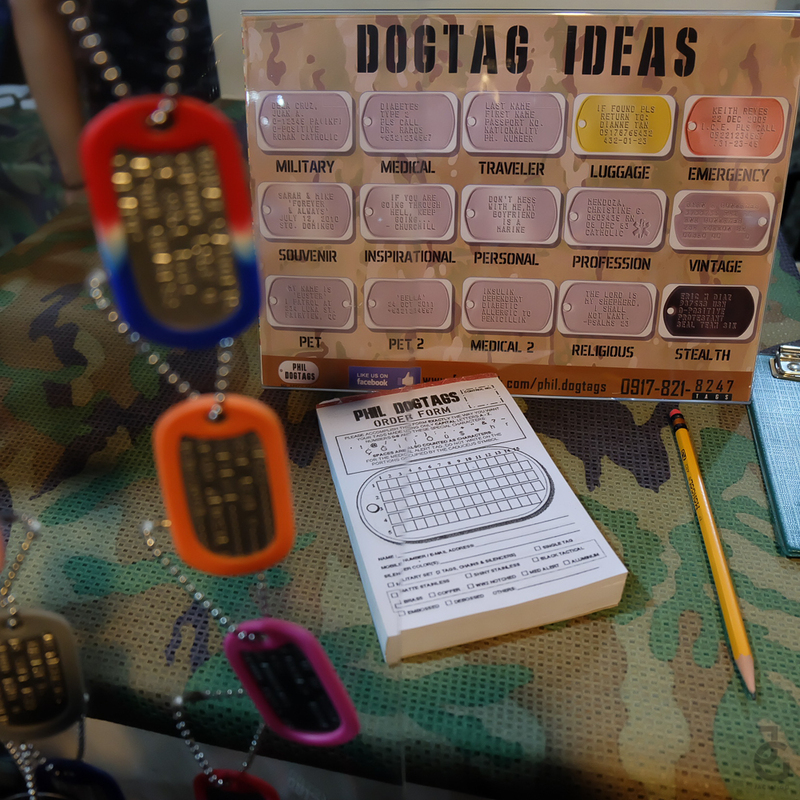 From the personalized dog tags, to the activities that were in store for us that afternoon. 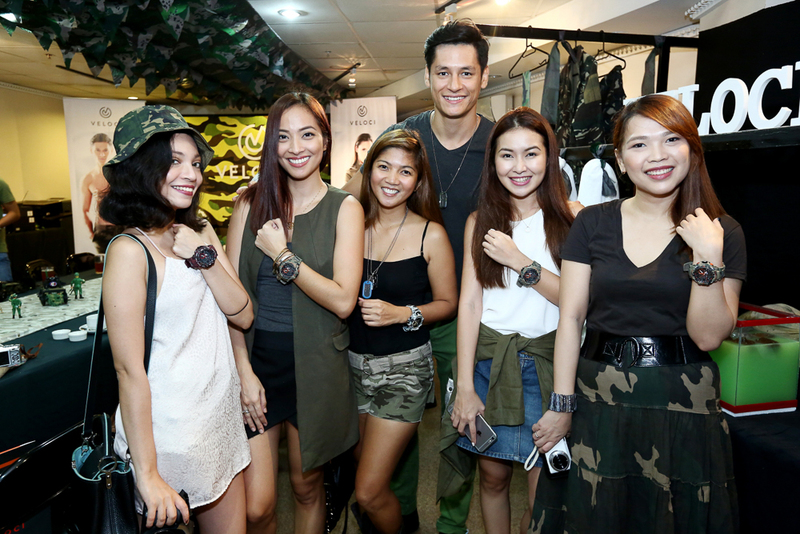 Bloggers with Rochelle Romero of Pix Republik and with Veloci endorser, Hideo Muraoka. Nakakaloka yung may ganitong ganap! 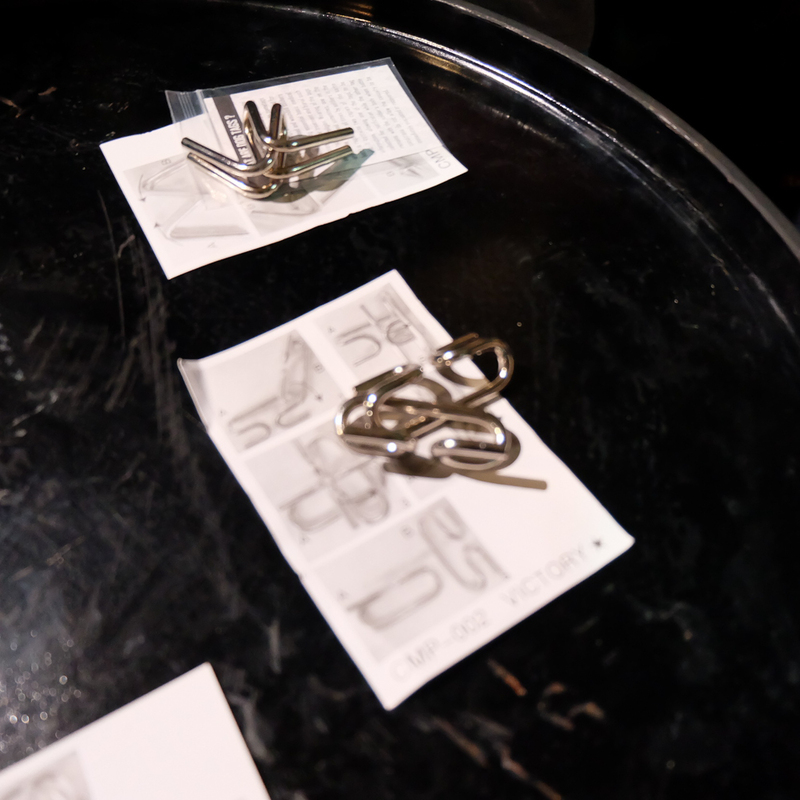 The guests were grouped and a series of challenges were waiting for us. First up, dress your team mate, fast! Here I was caught in the act dressing up Alyssa as we represent Team B! 😀 Dahil sanay ako sa quick change, I volunteered to help her. 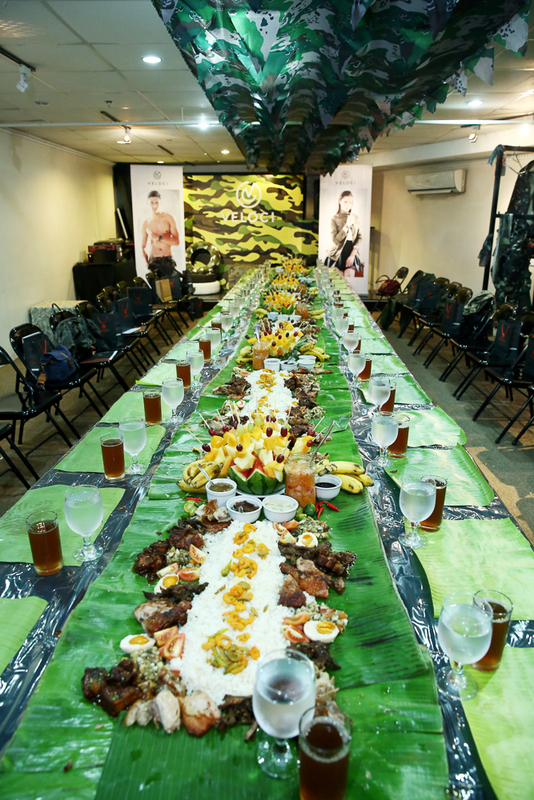 Aside from the physical challenges, there were also mental challenges. Talagang na-test kami physically, mentally and emotionally. Kaloka! Hindi ako prepared to unlock the mystery of this puzzle pero go pa din! Heehee. 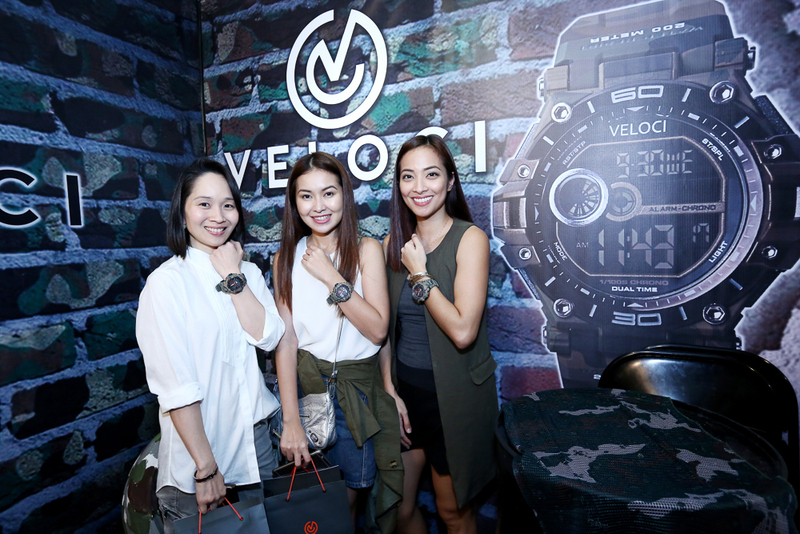 Veloci Managing Directors Marnie Chua and Roy Chua were excited to share the newest collection of Veloci. 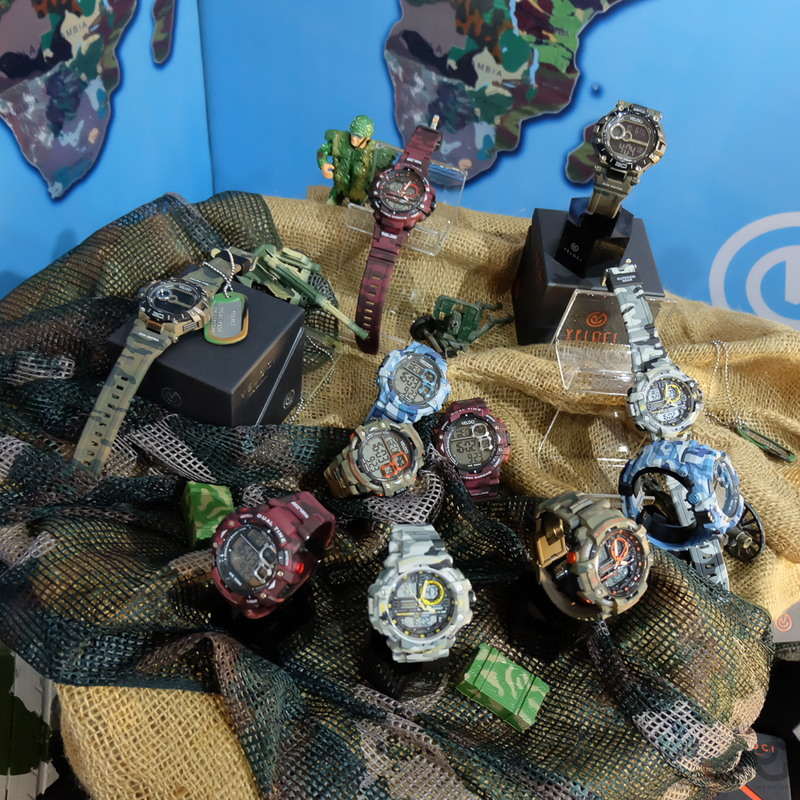 They believe that this collection would suit not only fashionistas but people who like function and want to step up their watch game. Camouflage prints add edge to minimalist and somber fall outfits, while grounding a sparkly party ensemble with a street-style vibe. 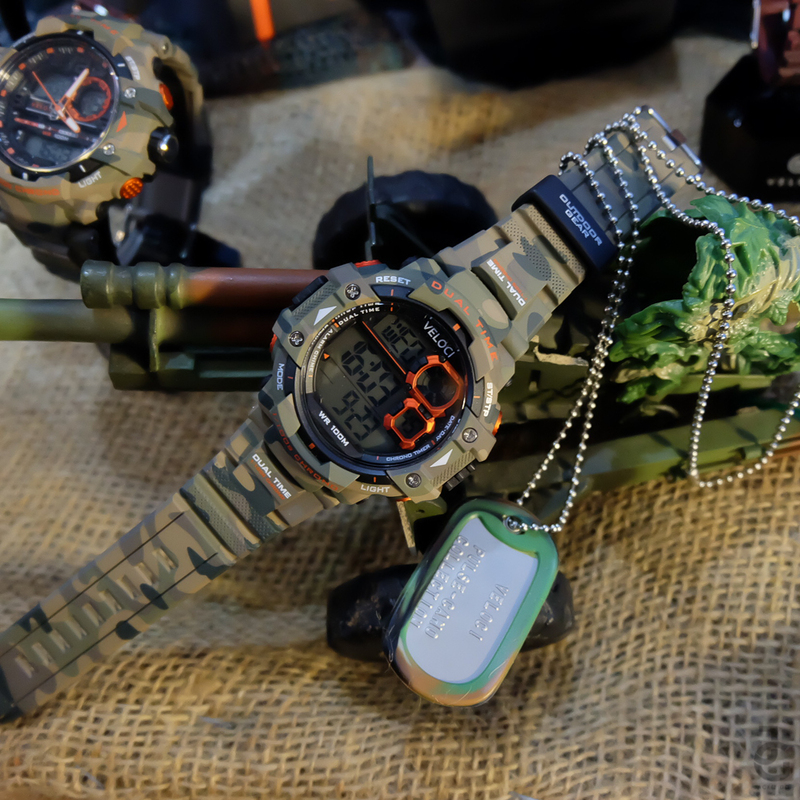 Fashionable and functional, the Camo is another versatile Veloci timepiece you can wear from work to play. 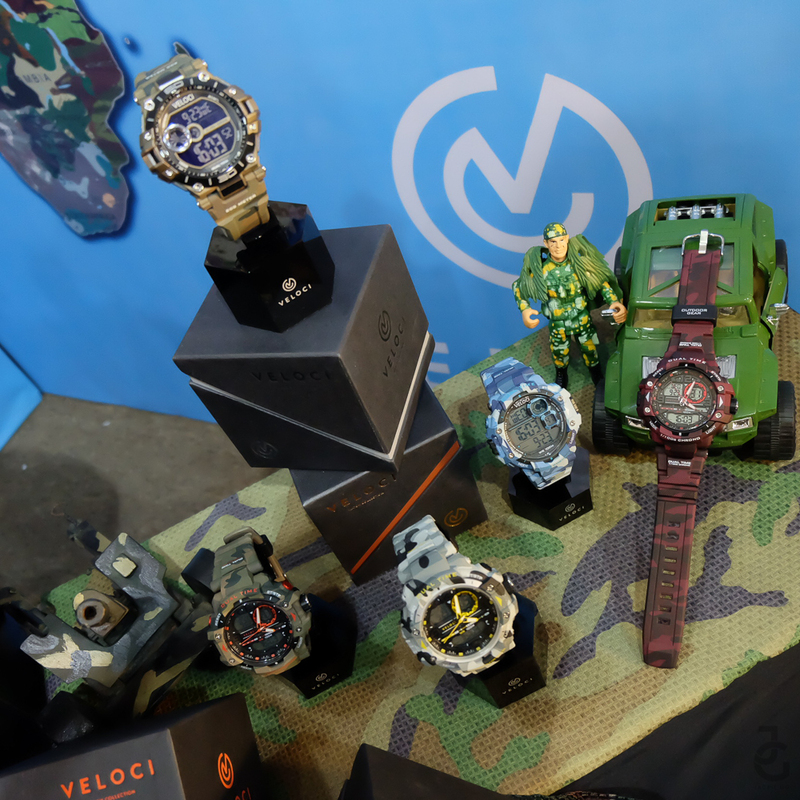 Veloci endorsers and models Hideo Muraoka and Catriona Gray love how they can dress up or dress down their Veloci Camo watches. 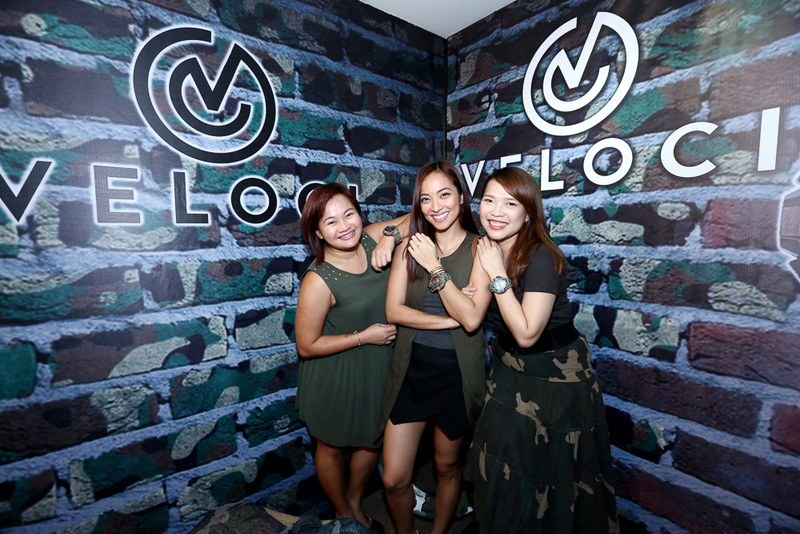 Phoebe Ramos, Nikki Tiu and I. This time with Angela and Tin. We’re all smiles after a fun afternoon. 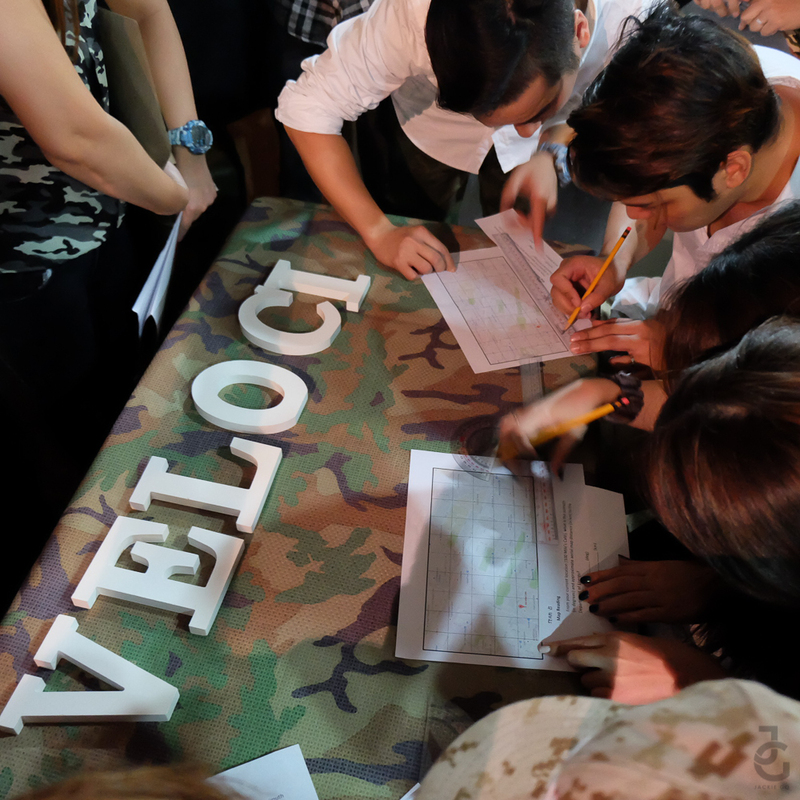 Thank you Veloci for having us! 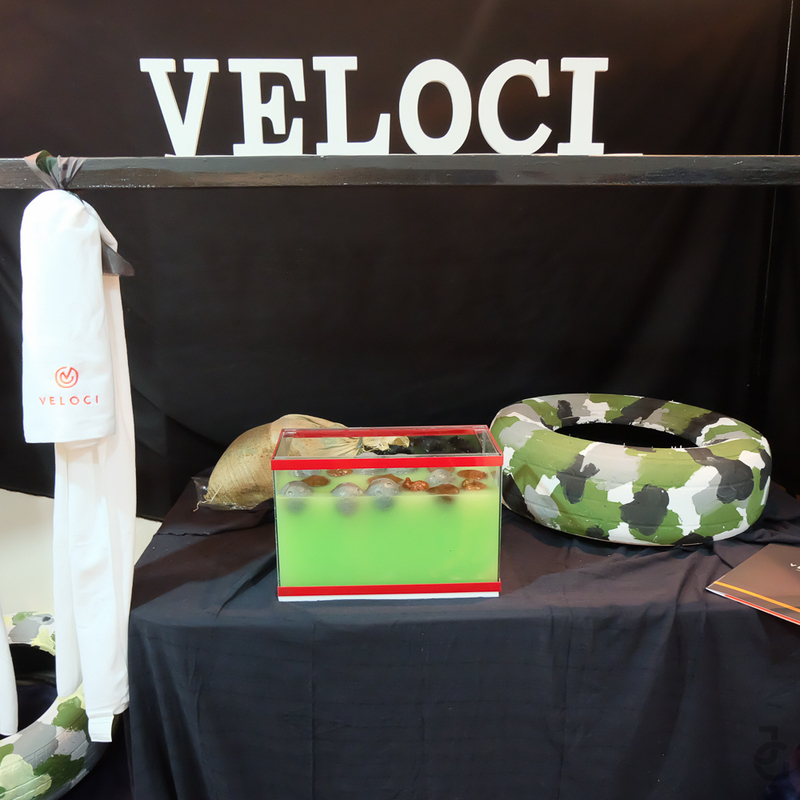 Veloci kiosks are in SM Megamall, SM Mall of Asia, SM San Lazaro, SM Clark, SM Pampanga, SM Manila, SM Fairview, SM Southmall, Market! Market!and Festival Mall. Veloci watches are also available in L Timestudio and Timegear boutiques, Asprey kiosks, and select Department Stores of SM, Robinsons, Metro, Fisher Mall and Landmark.